A side return extension is a great way to increase the size of your kitchen without losing garden space. If you live in London you can expect to pay around £40,000 to £50,000 before fixtures and fittings. A side return extension allows you to expand your home into an alleyway at the side of your property, typically constructed on period properties dating from the Victorian era. Don't be fooled by their size. Side returns are often small but can really open up kitchen and dining areas. Those looking for a lot of extra space often combine a side return with a rear extension, to form what is called a 'wrap around'. 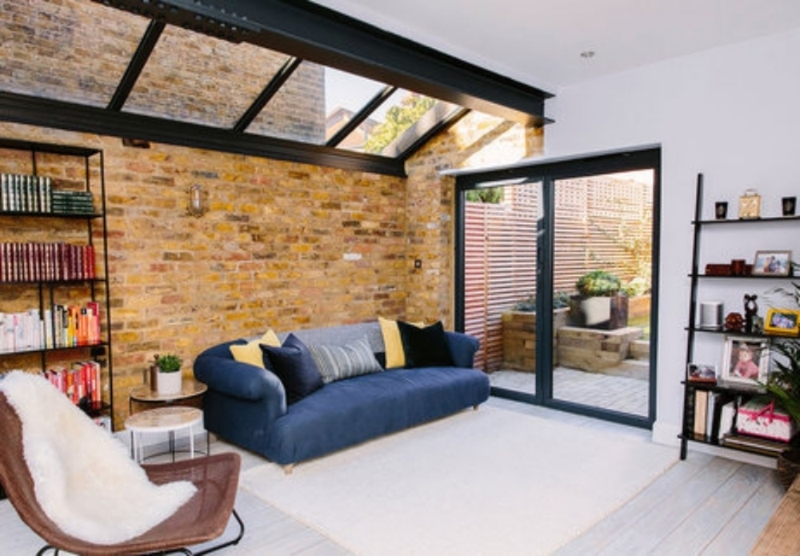 The average cost of a side return extension, based in London at 1.5m x 6m, will be around £40,000-£50,000 + VAT as a contract sum, which refers to what you’ll pay your contractor to put in foundations, build an external wall and roof, install insulation and apply internal finishings, including plastering and floors. For properties outside of London, these costs can go down to £35,000 - £40,000, as in theory professionals not based in London can charge a smaller fee. What added costs can I expect on a side return extension? The amount above won’t include your glazing or kitchen, and there are a broad range of cost options for these elements. For instance, there is a huge price difference between a basic IKEA kitchen and a bespoke layout from a fancy German manufacturer. It's up to you to choose what you're willing to spend on this. Be aware: unlike the extension itself, all kitchens depreciate in value over time. You can also expect to pay more for structural glass, which means that the panes of your windows can be much larger, with a minimalist frame and contemporary feel. Other luxury additions - which can quickly add up - include extra windows, skylights, internal/external landscaping, underfloor heating, a utility room or a WC. Expect to pay upwards of £85,000 for these elements, which again don't tend to add much resale value to your development. Make sure to be upfront with your architect about your budget during the design process, so you can work out which elements you’d like to prioritise. Maximising natural light may be more of a necessity than, say, installing an ultra high end kitchen. Our friendly architects will be able to help your find the balance between what's best for your family now and in the future. How can I secure return on my investment for this extension? If you’re determined to get a return on your investment in a return side extension, consider showing your drawings, elevations and 3D models to an estate agent. Once they provide you with an estimated resale value for your improved home, you can make clearer decisions about the amount you’re willing to spend on internal features. Finally, if you’re looking to save money while building a return side extension, consider putting in a temporary kitchen on the first floor and boarding up the back of the house to create a first floor flat. If your project takes six months, not having to rent a new home could save you more than £12,000. For side return extension inspiration, why not take a look at Alex’s beautiful side return extension?